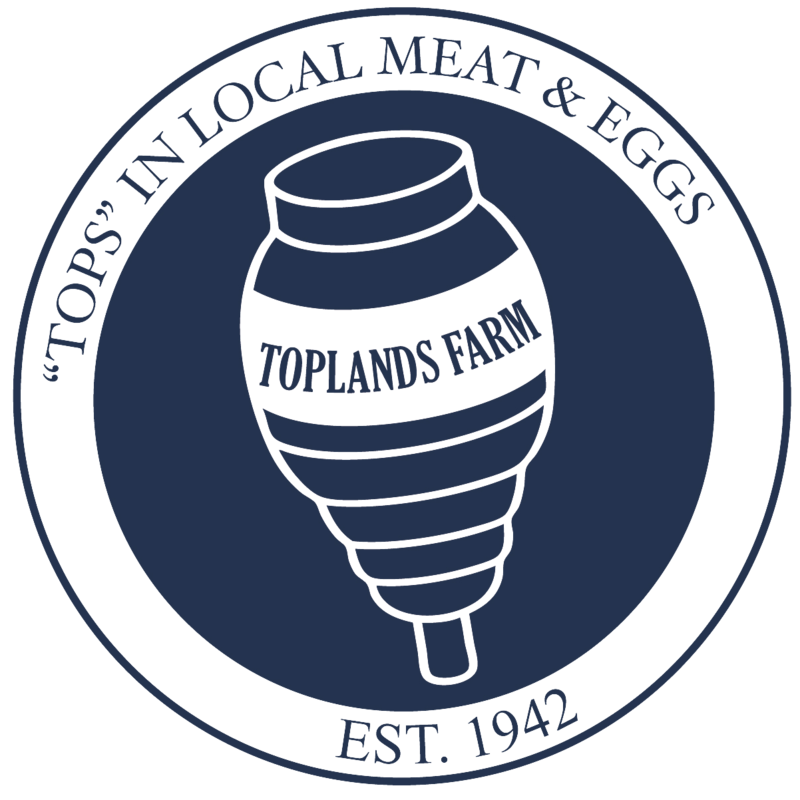 Toplands Farm is located on roughly 600 acres in Roxbury, CT. Historically a dairy farm, the farm transitioned largely into hay production in the mid-90s while also raising beef, pork, and eggs for friends and family. In addition to our expanded beef herd, the farm is home to a collection of farm “pets” including donkeys, cows, goats, chickens, and occasional visitors from other farms. Toplands Farm is also home to Double D Living History Farm which maintains the largest collection of restored antique tractors and farm equipment in the Northeast. Toplands Farm. LLC and Double D Living History Farm, Inc. aim to inspire an intimate connection between the local community and the land. Through our pasture raised products and extensive collection of restored antique tractors and farm equipment, we seek to create an environment where the community can learn and benefit from time-honored agricultural methods. My parents, A. Richard Diebold and Dorothy Diebold, purchased Toplands Farm in 1942 from Mr. and Mrs. Edwin Seeley. They used the old “Lock, Stock and Barrel” contract, which means that they got everything: land, buildings, animals, machinery, and household items. My parents renovated and added to the old farm house and spent their first summer on Toplands in 1943. The farm, back then, was a typical diversified family farm. There was a large orchard, mostly apples, to which they added some peach trees. The farm crops were hay, corn and oats. Mother had a huge vegetable garden and put up things such as pickles, jams, jellies, beans and other canned vegetables. They had chickens, guinea fowl, milk cows, calves, pigs, a team of work horses (named Nip and Tuck), and an old farm dog named Bepo. I was told, years later, that the horses listened to commands in Polish rather than English, because most of the farm hands during that time were Polish! My parents had two men working the farm with some part time hands during the busy summer season. Mr. Weaver and his wife lived next door and George Weeks came in by the day. 1940s: The farm building complex was behind my parents’ home, so that the barnyard came right up to the back lawn. The cow barn, bull pen, and pig pen were all together, and built into the hillside so you drove up a short ramp into the hay loft. There was a shop, a milk house, and a garage in the complex as well. By 1945-46 plans were in place to build a new complex across the road from our home. A large Dutch gambrel barn was soon built which held 60 cows and calves. Two silos were built, one made of cement, one made of wood, to hold silage for the cattle. Unfortunately, disaster struck at 4:15am one winter morning. The barn burned to the ground, mostly due to lack of water and fire equipment. Luckily only one calf and a tractor were lost. The cows were moved to a vacant barn on Painter Ridge Road, about a mile from Toplands and remained there for about a year until the present barn was built. Over the years more barns were built to hold livestock, hay and equipment. 1950-1960s: Two more silos were built when the number of Registered Holsteins grew in the mid-1950’s and early 1960’s Toplands was selling bulk overseas and to stud services in the United States. We reached a peak at 145 head. The farm had grown to about 650 acres, of which half was woodland. Grain was no longer grown as the land was needed for hay and corn. There were no more pigs, chicken or horses. The farm became home to a pair of donkeys and the tradition has carried on through the present day. By the early 1990s, help was becoming harder to find and the cost of producing milk continued to grow. By 1996, the milk cows had been sold and the farm went into hay production as its main source of revenue. At that time, we sold most of our hay to horse customers in and around Litchfield County. Today, most of our hay goes to feed our ever increasing beef herd. On May 18, 2014, in celebration of our annual Open House, we launched the retail meat shop in the north end of the main cow barn. The meat shop has steadily grown from selling beef only into a full-service meat market carrying our own pasture-raised beef, pork, roasting chickens and farm fresh eggs that are hand-picked daily. The meat shop allows us to reach more consumers, especially those who are interested in top-quality, locally raised food. Toplands continues to be home to two donkeys, beef animals, pigs, chickens, goats, sheep and an occasionally visiting Percheron horse. These animals are such a part of life at Toplands Farm, that people stop by frequently just to see how they are doing. Toplands is also home to a large collection of antique tractors, trucks and farm equipment from around the country that I have been collecting since I was a boy. We restore all of the machines to working condition and paint to original specifications right on the farm. We maintain a beautiful rustic barn that houses a vast collection of homestead implements, from the very basic wood water pipe, to the wood burning cook stove, that greatly improved our forefathers’ lives. Many of these items were donated directly from the Roxbury Historical Society’s collection. Through the Double D Living History Farm, we offer tours on an appointment basis for individuals or groups interested in the history of farming and antique machinery. If you are interested in more information on our beef or a farm visit, please email us at homeofthetops@gmail.com. We are excited to be providing our customers with a great variety of local meats. We now have beef, pork, veal, eggs and chicken.